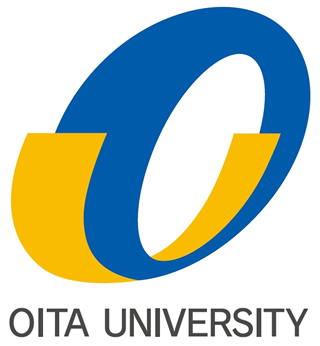 The emblem of Oita University was designed based on the initials of that. The letter“O”, which also can be taken as a circle in its shape, symbolizes perpetuity of the progress of the University; and the blue color stands for intelligence, sincerity, pursuit spirits, and independence. On the other hand, the yellow color of “U” symbolizes hope, progress, and happiness. Hence, in the emblem, we show our hope and will that Oita University will continuously pursue the new knowledge to contribute the global as well as the local welfare through education and research activities.